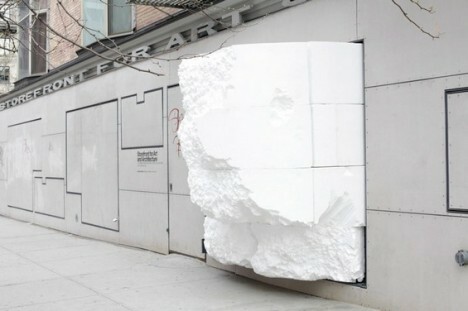 If you’re a fully-grown adult wishing you could still dive into ball pits or play with marble runs, design duo Snarkitecture makes it possible and cool to do so with their stark, surreal all-white installations. 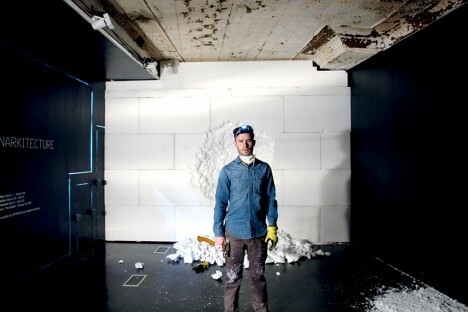 You’re not being immature, you’re taking part in an artistic process! 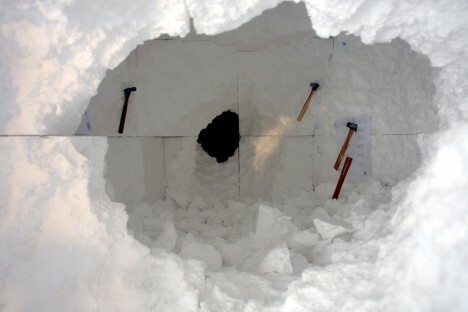 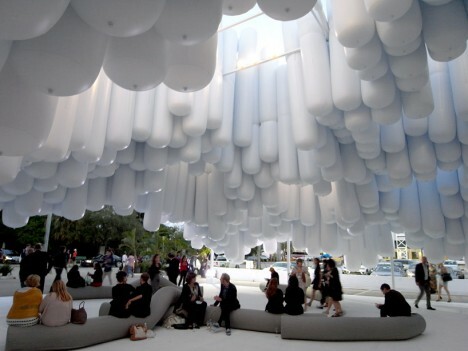 The Brooklyn-based artists are best known for experimental environments investigating the unknown within architecture, often making use of unexpected materials like inflatable tubes and stiff white foam. 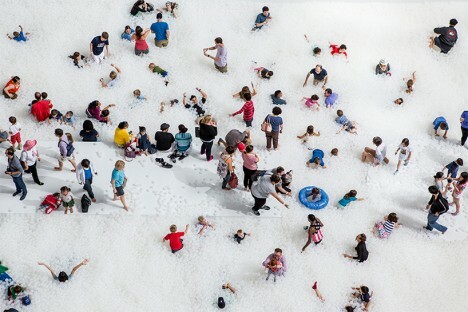 Here are 9 of their most playful projects. 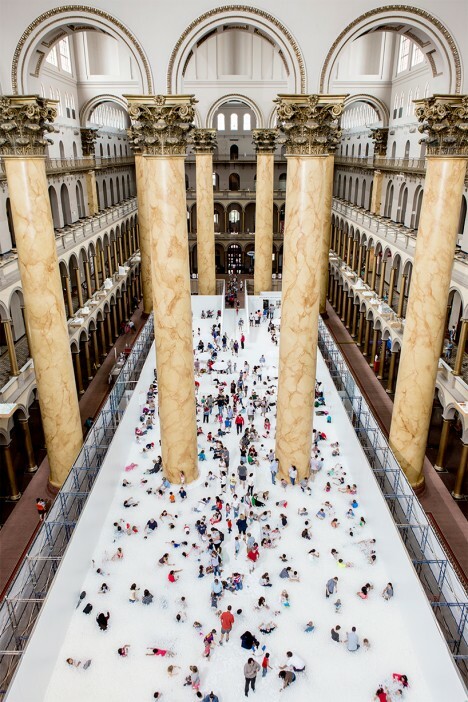 The National Building Museum in Washington D.C. has been transformed into a ‘beach’ with the addition of nearly 1 million recyclable translucent plastic balls. 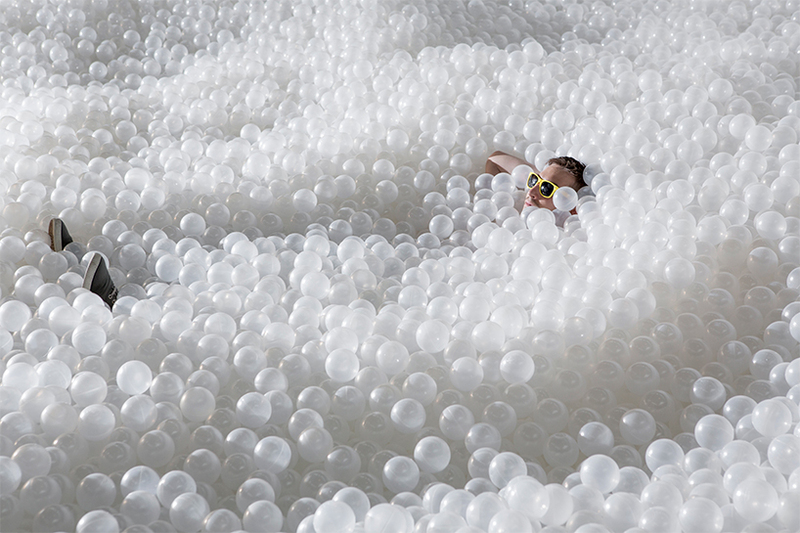 Visitors are invited to dive into the 10,000-square-foot installation, which “encourages exploration and interaction with one’s surroundings, and offers an unexpected and memorable landscape for visitors to relax and socialize within.” White beach chairs and umbrellas line the ‘shore,’ offering a vantage point from which to observe adults frolicking like 5-year-olds in a McDonald’s playground. 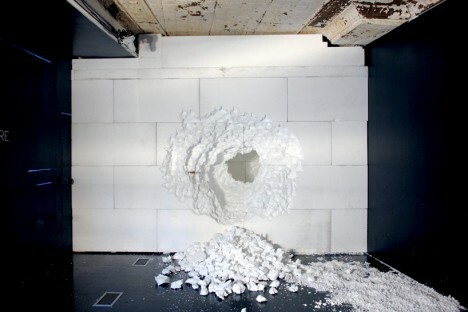 The installation will remain in place until September 7th, 2015. 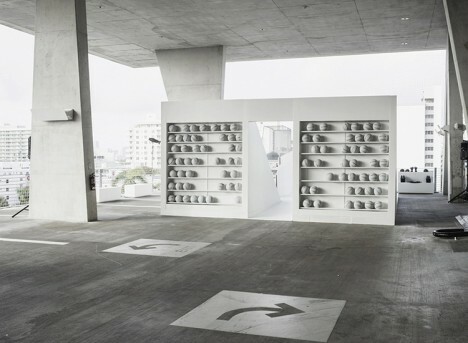 1111 Lincoln Road, an ultramodern parking garage by Swiss architecture firm Herzog de Meuron, became the setting for a high-design game of airball with an installation by Snarkitecture and fashion retailer Alchemist. 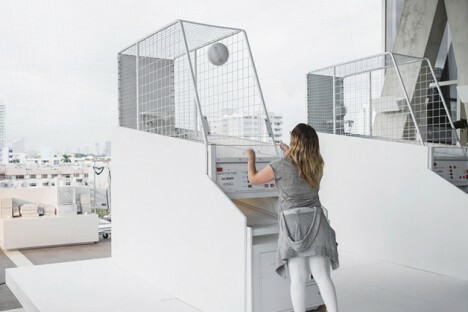 Titled AIRBALL, the interactive installation is “a custom environment designed by Snarkitecture that draws on familiar objects and materials from the visual and spatial world of basketball, while interpreting them through a unique and creative lens.” Visitors to the all-white arena located on level 5 of the car park could compete side-by-side while looking out over the Miami skyline. 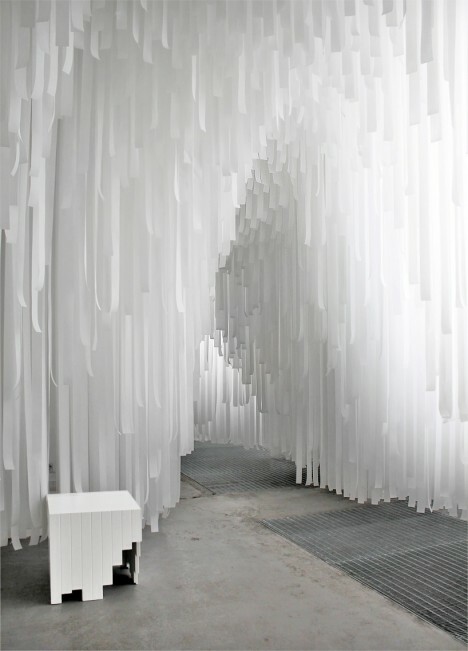 COS stores collaborated with Snarkitecture to create a surreal cavern sculpted from thousands of paper-thin fabric sheets at Milan Design Week. 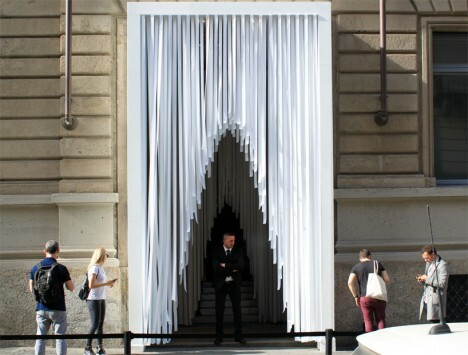 Hung from the ceiling at various heights, the strips create a luminescent chamber echoing the aesthetics of the fashion brand’s Spring/Summer 2015 collection, drawing visitors in from street level and transporting them to an intimate showroom. 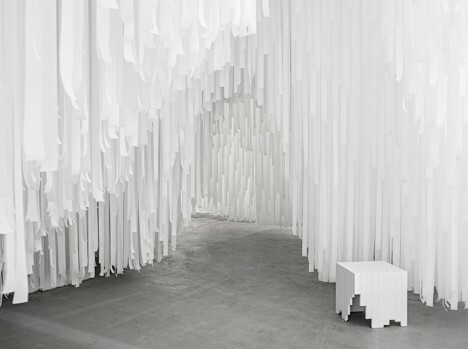 Navigating the small hollows within the dangling fabric was a sort of adventure, a pause between the chaos of the external world and the soothing retail space.